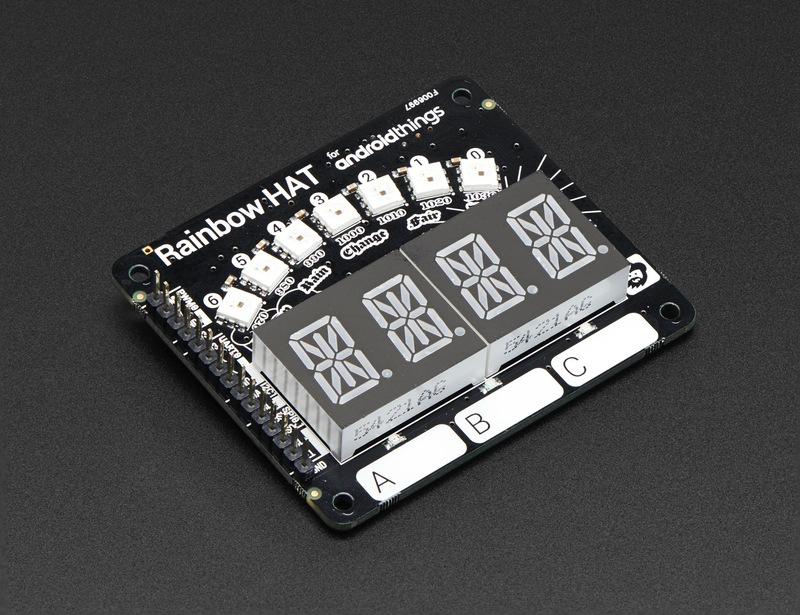 NEW PRODUCT – Pimoroni Rainbow HAT for Android Things + Raspberry Pi « Adafruit Industries – Makers, hackers, artists, designers and engineers! 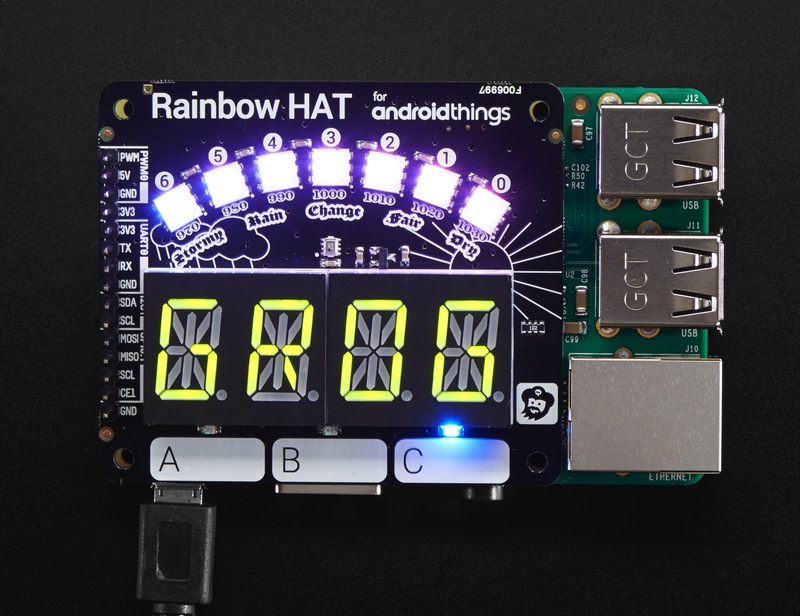 The Rainbow HAT from Pimoroni has a buffet of sensors, inputs, and displays to explore Android Things™. Use it as a weather station, a clock, a timer or stopwatch, a mood light, or endless other things. 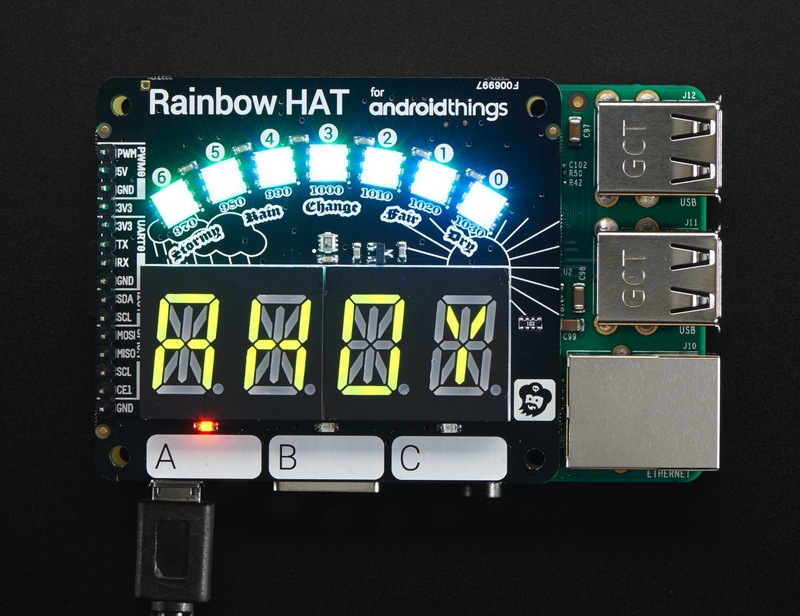 Pimoroni collaborated with the Android Things team at Google to create this great add-on board that features displays, sensors, sound, and lots of LEDs! It’s the perfect introduction to developing Android Things applications on the Raspberry Pi. 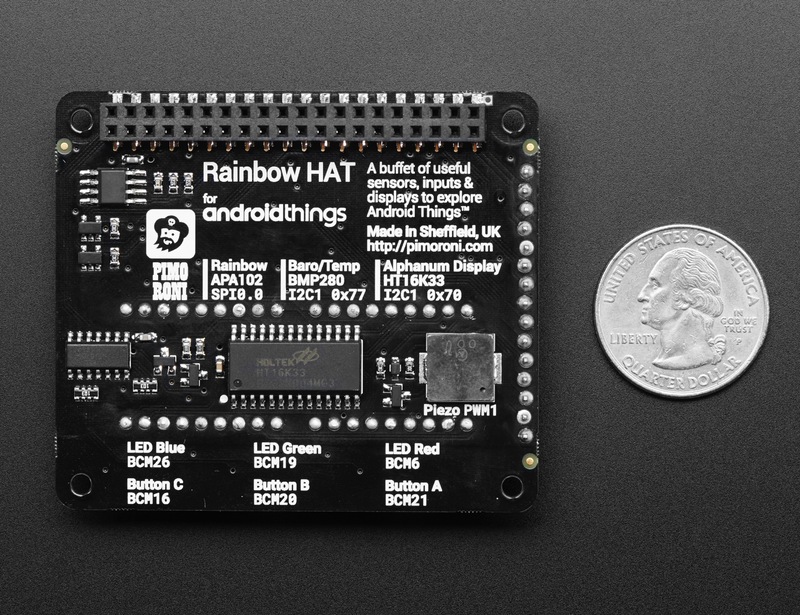 For information on how to get started with Android Things and Rainbow HAT visit the official developer site for Android Things. The board is designed specifically to show off the wide range of protocols available on the Raspberry Pi, including SPI (the APA102 LEDs), 12C (the BPM280 sensor and 14-segment displays), GPIO (the capacitive touch buttons and LEDs), and PWM (the piezo buzzer).